Mr. Manoj John, Vice President – Corporate Planning & Strategy of RNA Corp has over 13 years of rich and varied experience in business strategy and process improvement in various industry verticals including construction industry. 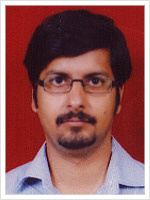 Mr. Manoj John is a civil engineer from the Mahatma Gandhi University and MBA from Goa Institute of Management. He conducts continuous evaluation of business opportunities offering synergies with the company’s strengths & competencies. His suggestions to the management board are based on analysis of market trends to identify growth opportunities, and requisite opportunity & feasibility study, with supporting financial analysis. He leads the business process improvements in the company with an objective of transitioning existing organization structure in line with proposed business model. He provides the direction and framework for creation of ‘Standard Operating Procedures’, inter-department information flow and ensures implementation through a task-force approach. These initiatives supported by his focus on IT architecture and enterprise-wide applications have resulted in significant improvement in throughput and control on performance. In his previous advisory engagements, Mr. Manoj John has consulted for Government of India on ‘Addressing the Competitiveness of Indian Industries’ for Ministry of Commerce & Industry (DoC); and ‘Preparation of Framework for Investment in R&D’ for Ministry of Communications & Information Technology (DoIT). Mr. Manoj John represents the group of young corporate leaders contributing towards growth & excellence on their strengths of technology, business acumen and management framework. 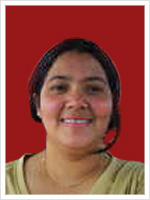 Sarat is an Engineering Graduate with a degree in MBA from ICFAI. 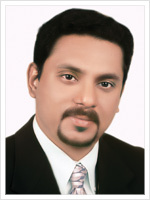 He has more than 5 years of experience in diverse sectors like ITES, Finance and Real Estate. His experience in the Real Estate domain spans 3 years, and are primarily in areas of Corporate Planning and Strategy. Now Civil Engg must know Excell and MsProject. I taught MsProject over 1000 engg. I teach in just SIX hrs. Am ME civil CM with 30 Yrs Exp. You can just SEE demo at Dadar Office. I appreciate your current ad campaign of RNA Exotica very much, it is really very good. I have a blog which is on advertising: Advertising Opinions and I wish to write a post on your ad campaign. I therefore wish to speak to someone who handles advertising in your organization, can I know whom to speak to?